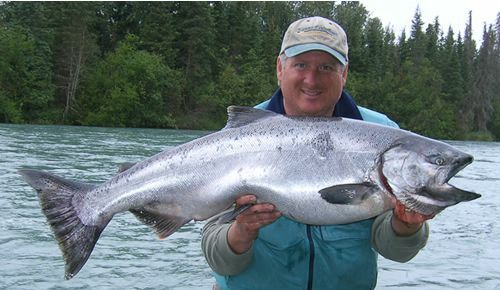 Summer anywhere in Alaska can be fun...but summers on the world famous Kenai River, home to the 98 pound world record King Salmon caught by Les Anderson, bring on "Summer Salmon Fever". 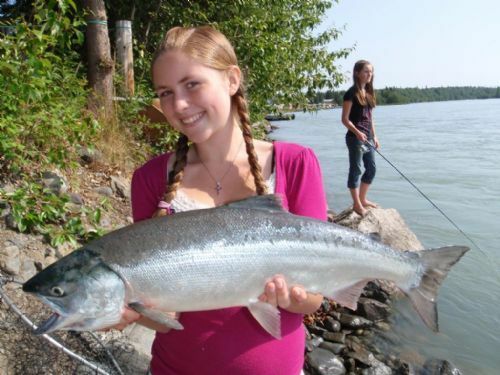 We are serious about salmon in Soldotna, and on the entire Kenai Peninsula, there's little doubt about that once you've visited our fish frenzied community, and if you are one of those fishermen who wake each day and wish you were fishing instead of commuting to the office, then this is the place for you! 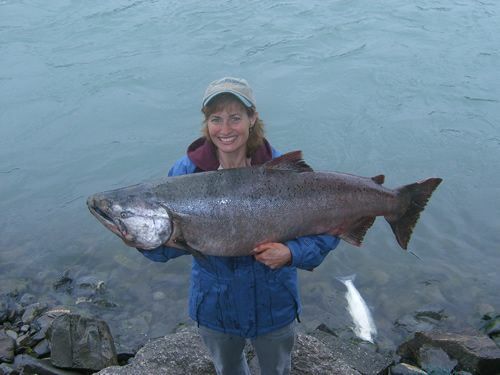 At Kenai Riverfront Resort, you can fish day & night for Sockeye (Red Salmon) or Coho (Silver Salmon) or Humpy's (Pink Salmon), depending on the season, right from our prime salmon fishing rock riverfront--unparalleled anywhere on the Kenai. Our guided King Salmon, Silver Salmon, and Rainbow Trout fishing trips on the Kenai River depart Tuesday~Saturday at 0530 for the early birds or 12:30pm for those who need a little extra sleep (after staying up all night fishing from the shore!). 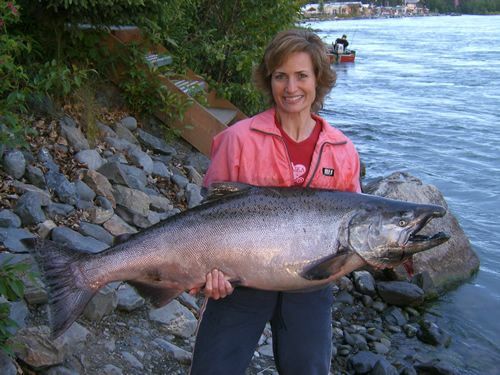 Salmon & Sights--"The Best of Both Worlds"
Alaska's Midnight Sun Playground--"The Complete Kenai Peninsula Experience"
* Available JUNE-JULY-AUGUST. Please review our Cancellation Policy before booking. **All Package prices are per person, based on double occupancy. Children 10~17 can join for 1/2 price. Children under 10 are free, except for fishing charters or tours which can be booked by special arrangement at reduced cost. 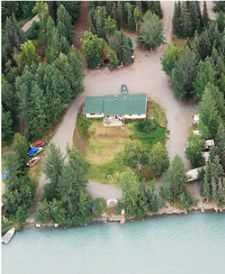 Ground transportation to/from Kenai Riverfront Resort and to/from activities is not included. A rental car is required for transportation and must be booked seperately as public transportation in Alaska is extremely limited. ***Meals, gratuities, fish processing, sales tax, and other customized services not included.